Last Day to Apply for Designers! 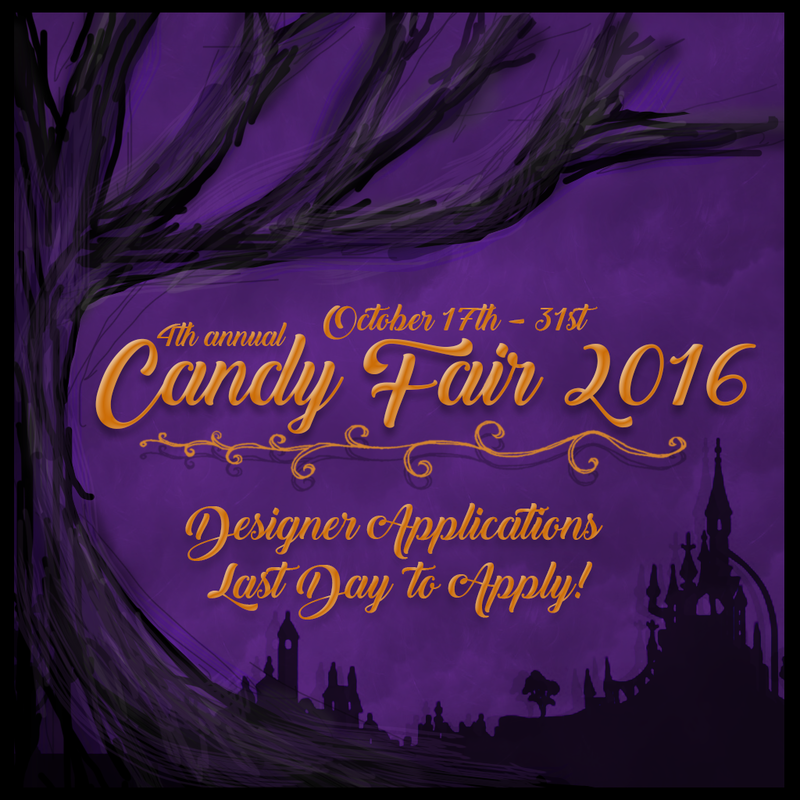 Candy Fair 2016 Designer Applications have been open since the end of May! Today is the final day to apply. So designers if you would like a chance to be in the fair please get your applications in before the end of the day! Any applications received July 1st and onward will be considered for our waiting list only. That being if spots open up we will start accepting designers off our waiting list. We will contact designers who are accepted to the waiting list to let them know they are. Being on the wait list can mean that you may or may not be accepted anytime from July up until right before the fair opens. So please if you are going to apply past today only do so if you are ready and willing to be a possible last minute designer. Thank you everyone who has applied we've gotten hundreds of applications and are working our way through viewing all of them. We only have a limited amount of space for the fair so not everyone will be accepted. The designers we choose will be notified starting July 7th! Please check the website throughout the month of July to see all the final designers!